Our fruit boxes now have juicy satsumas; but remember, they’re not just for Christmas! Christmas is coming and we’ve tweaked our fruit boxes to include that most festive of fruits, the satsuma. Or do we really mean mandarin, clementine or tangarine? 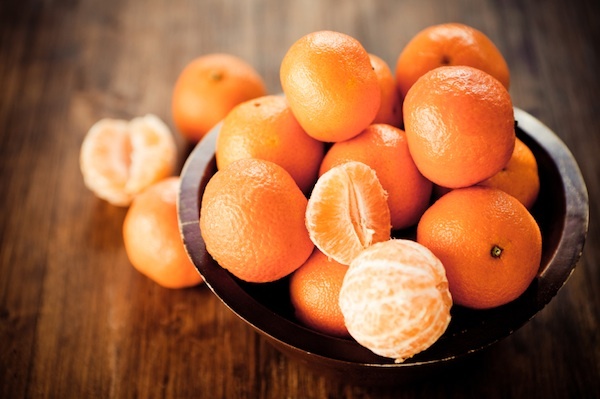 We definitely mean satsuma; but where does that leave the mandarin, clementine and tangerine? Pull up a chair and we’ll explain; maybe grab a satsuma as well, if you’ve one to hand. Let’s start with the mandarin. This fruit doesn’t actually exist, it’s merely the group name for the satsuma, clementine and tangerine; so if someone asks for a mandarin then you could give them any of those three. The satsuma is a tangerine of a hardy loose-skinned variety and has its origins in the Satsuma province of Japan. As for the tangerine, that’s one of the pure varieties of a mandarin. They have seeds in them and the name comes from Tangier in Morocco, where most of the fruit was at one point imported into Europe. Clementines are similar to tangerines, but have been crossbred with another fruit called a pomerans. Satsumas are bursting with vitamin C; in fact, just a single one can provide almost half of your daily recommended intake. Eating one is better than drinking orange juice because they contain fibre which, not only, fills you up but also helps keep the colon healthy while also controlling your blood sugar and helping to lower any raised cholesterol. They’re also easy to carry around and don’t have any irritating pips, as well as being much quicker and less messy to peel than oranges. But remember, satsumas are not just for Christmas!